My Sunday started out great with nice weather presenting the first opportunity in a month to play disc golf in sub-hundred degree weather and I took it. Afterwards I had breakfast with my grandmother and parents and that was nice. I completed Luigi’s Mansion last week and that was a fun game. Now I’d like to start Metal Gear Solid 4: Guns of the Patriots, but I’m fearful I won’t have a lot of time to play it with school beginning in a week. I think I will though, especially now that trophies have been patched into it. Great timing. I also popped in Super Smash Bros. Brawl thanks to my friend’s recent discussions about PlayStation All-Stars Battle Royale. I started unlocking things and realized I have a ton of stuff left to unlock so I might play that in a passing manner for a week or two. 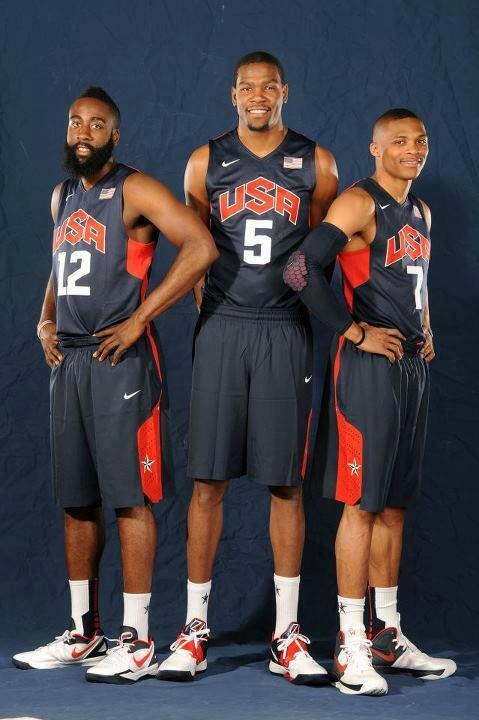 James Harden, Kevin Durant, and Russell Westbrook (OKC Thunder) took gold in the men’s basketball event at London 2012 today.